Questions about camp for your son? Get the 90th Anniversary Book! 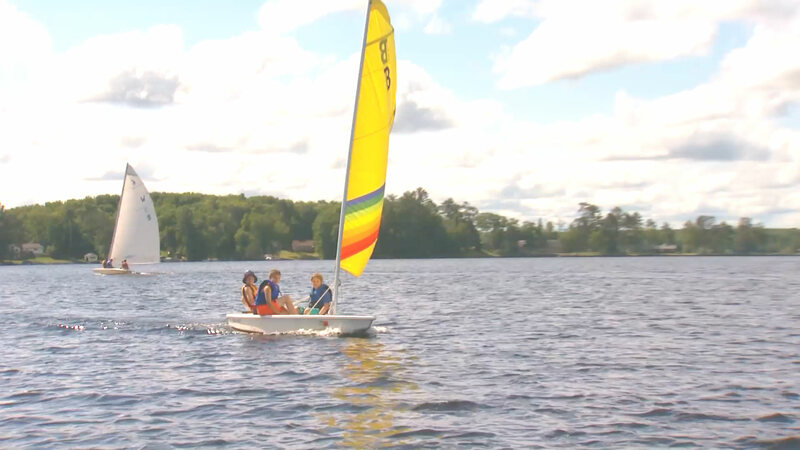 Since 1929, it has been the values and goals of Camp Nebagamon that have stayed consistent, the thread that connects the past to today – to create a refuge from the real world, giving children the space they need to discover themselves, to nurture a diverse and caring community, to challenge boys in ways that help them discover how capable they are, and to engender a love of the outdoors in our campers. If you are thinking about working at Camp Nebagamon or are already hired, this is where you will find all things staff related. Camp Nebagamon has been life changing for my son. The counselors and staff create a caring and loving family that allows him to challenge himself, to take risks and try new things on his own terms. He's learned many life lessons about friendship and brotherhood and he values all his camp relationships. Nothing compares to eight weeks in the North woods of Wisconsin – Camp Nebagamon is like coming home. Carrie and Steven, parents from Washington D.C. The best possible thing any parent could do for their 9-15 year old son. Kids NEED a place like Nebagamon these days -- somewhere they can try new things, be themselves, get silly, and escape the constant pressure to excel and "be the best" that, as a parent, I see everywhere. At camp, they get to explore who they ARE, not who they're supposed to be. A true gift. Thanks for all you do! Thank you for providing a great 7 summers for Matthew. I know he has truly loved his summers and what a wonderful gift he has been given. Selfishly as excited as I am to have him home next year for family time, surprisingly I teared up washing his clothes and sheets knowing this was his last year as a camper. I'm sad to see this chapter end for him. We have laughed and cried hearing all of his stories about this summer. I know he has made friendships for a lifetime and he has gained everything you would hope from a summer camp experience. I'm so proud of him and the boy, well I guess man, he is becoming. I know his summers have helped shape him into this wonderful person. Again thank you!! You create a magical world that borrows from the past and tradition, yet you've adapted, adjusted and augmented in the best of ways to make Nebagamon better than ever... More emotional, more open-minded, more reflective of the diverse world of today, more welcoming of all. I miss the place and treasure the memories of not only my initial years as a camper, counselor and administrator, but moreso that special summer when I returned after 30 years. Nebagamon is an excellent camp with a full range of top quality activities that are well run, fun and safe. What sets Nebagamon apart from other camps is the incredible culture, values and leadership. It is a very special place. A place to grow, get to know yourself, and challenge yourself in a supportive and safe environment while having fun and making new friends. WANT TO KNOW IF THERE'S SPACE LEFT IN YOUR PREFERRED SESSION? Call us at (208) 345-5544 or send a message below.